“The problems troubling the world are not caused by globalization,” Chinese President Xi Jinping said at the World Economic Forum in Davos. With his strong defense of globalization, people saw a line clearly being drawn in the sand between Xi and the new US President Donald Trump. “No one will emerge as a winner in a trade war,” said Xi, without mentioning Trump or the US. But the message was clear. As a result, some analysts commented that China and the US are swapping roles, with one becoming more open and embracing globalization, while the other publicly doubts the benefits of trade and makes noises about renegotiating—or even scrapping—existing agreements. But Martin Wolf, the chief economics commentator at the Financial Times and a long-time observer of Chinese economy, does not agree. Wolf suggested that China, despite its rapid growth and maturing economy, remains a developing country and will not take on the mantle that the US has in the post-war era. 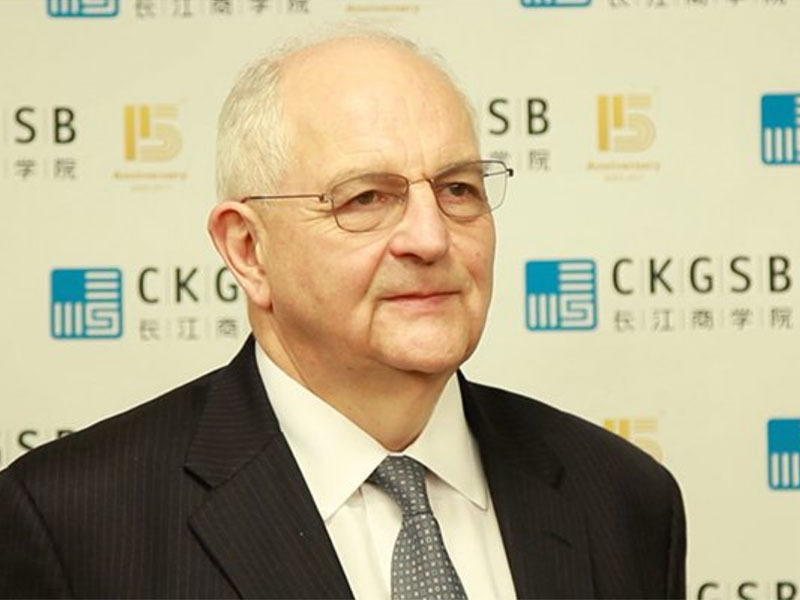 In his interview with CKGSB Knowledge, Wolf also said that people don’t know what the true nature of the so-called “Trumponomics” is and that the US has not adopted any protectionist policies yet. As a result, it is not possible to draw conclusions based on the president’s rhetoric alone. Q. Xi Jinping’s speech at Davos is the sort of thing we want to hear from the US President. Do you think the US and China have swapped roles? A. The answer to that is no, they have not. But they have swapped rhetoric. So the Chinese are talking about the virtues of globalization, technology exchange an open economy, and the Americans have elected an explicitly protectionist president. Now, these are aspirations on both sides. In practice, I don’t think China will be able, in fact, to play the role that the US has played in the last 20 or 30 years. It is growing more powerful, it has a bigger market now than ever before and it will change over time. But it’s not yet capable of doing this. It’s still a developing country, after all. And the Americans haven’t yet adopted a fully protectionist set of policies. So I would say the rhetoric is changing, the positions are moving, but today China cannot do what the US has done. Q. In light of Trump’s economic policy, do you think the US strategy will work or backfire? A. The truth is we don’t know yet what Trumponomics is going to be. It’s a very confused and confusing set of ideologies. What looks like happening is that we’re going to have de-regulation, a large fiscal boost, a big increase in deficit, we’re going to have a large tax cuts and we’re going to have protection[ism]. And the nature of the protection we don’t know. This is a very peculiar combination of policies by historical standards, though it’s a bit like America in the 19th century, but it’s not something we’ve seen since then. Some aspects of this might work. The American economy is in reasonable shape now, so a big fiscal boost might generate a period of very rapid growth—probably too much growth. The protectionism will be destructive, but it may be modest, in which case it won’t be so destructive. So we really don’t know. But it might be that in the short to medium run, there will be a bit of a boost in the American economy. Q. What does this entail for China? A. What does it mean for China? Well it depends partly on whether there is a boost. My guess is that we are going to see a stronger dollar, higher interest rates in the United States, a weaker RMB. This will help Chinese exports, but it will create a big problem for managing the exchange rate. It won’t be a significant boost to China, it will be mildly helpful but very problematic. But at the same time, they are going to manage Trump’s protectionism. We don’t know how that will work out, but that could be very, very complex. So my view for China, under a plausible assumption, is that Trumponomics is moderately bad, but probably not catastrophic and it will create some opportunities.